We have the most fun and extreme Obstacle Course in New York. Obstacle Courses are one of the best ways to get children active at any party or event. Kid’s can be competitive by racing through the tunnels, around the obstacle pop-ups through the bouncy house castle and down the inflatable slide. Or children can simply explore the challenges of each obstacle at their own leisurely pace. Fiesta Bounce only sets up bounce house castles with slide combos equipment on wood, concrete, blacktop or grassy surfaces with minimal slope. Click on the Obstacle Course below to read more about it and see more pictures. 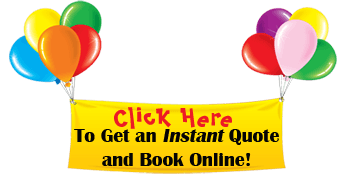 Or get an INSTANT price quote by clicking the button below. Please get an instant quote to see the exact price. Due to the size and weight of our Bounce House Castles, we need know if there are stairs, steep hills, rocky terrain, narrow entrances, or any situations that require extra labor on our behalf. Please let us know if you feel your location may present a challenge. In addition to Bounce House with Slide Combos in Westchester County, NY, we also offer our Party Rental services in The Bronx, NY and surrounding areas. 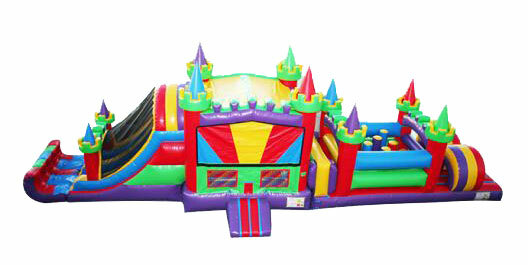 If you’re looking to rent awesome Obstacle Course in Westchester County, NY Fiesta Bounce Party Entertainment is a one-stop-shop for all your party and bouncy house castle rental needs. 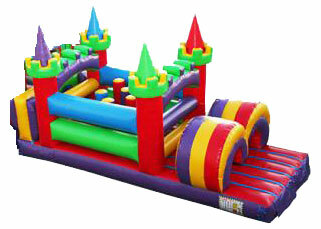 We don’t just deliver bounce houses in Westchester NY we cover NYC and some surrounding areas. Fiesta Bounce Party Entertainment is about more than just Bounce House Rentals. Don’t forget to check out the rest of our website for other Party Rentals to make your party complete. From chairs, tables, tents, generators, party costumes, and more – we have it all. Give us a call so we can help you throw a memorable party!